You’re story is one of inspiration and heartache which no one will ever understand. Thank you for your sound in helping every one of us escape and appreciate. You’re a forever living soul around us. I hope you found your peace. I first learnt of AVICII because of Wake Me Up and that introduced me to EDM as a whole. I still cry every now and then. The most recent one was some days ago when I listened to The Nights. 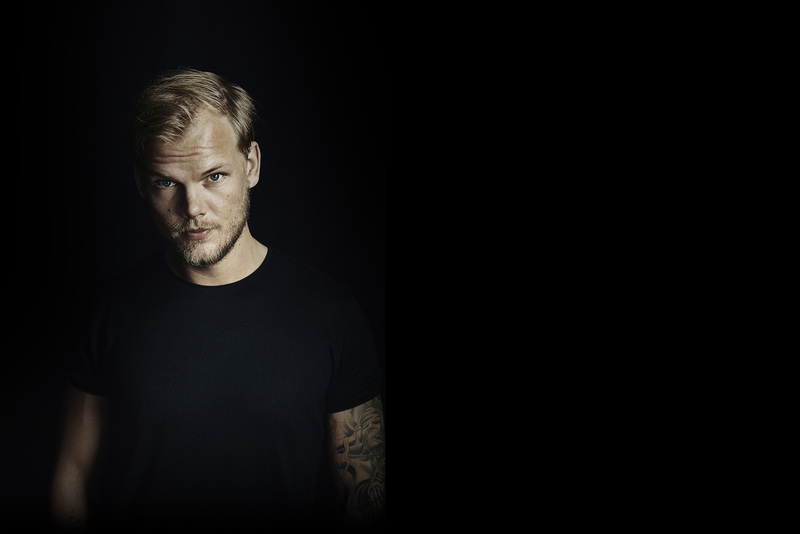 And as the song says : “One day you’ll leave this world behind, so live a life you will remember.” Or, from the video itself, “I want to be remembered for who I am, not how much money I made.” You did, you are and you will, AVICII. As long as history books remain, you will never die in our hearts. Thinking of you alot Tim <3 Will never forget you. His music used to be so fire, Such an inspiration ! Wow, your documentary.. your story.. your happiness and your pain. Thank you for sharing it all. Your music lives on and your life will never be forgotten. Was thinking of you today. Mike Posner mentioned you in his lastest song that had just come out, and I thought I would pay my respects by bumping to your music that afternoon. Your music is inspirational bro. Thank you so much for creating. I want you to know that it drives me to continue. To strive to be the best I know I am! Thank you Avicii I will always remember you. I appreciate you and your music and it will live on forever brother. I’m so sad that you couldn’t overcome your struggles and live out the rest of your life that you so greatly deserved. RIP bro. His music gave me what I needed. It spoke what my life was. I wasnt the tallest. So I did learn how to jump. And with his music, love was always around. It's a tough thing to think when someone reshapes your whole life, and then they dissapear and transform you. Because of his work, I know I have my place in the sky, and I sure hope it's near avicii. from I am still waitong for love! I hate you becouse you left. But I still love you for alla the things that you did. When I heard about your death I was sad for days. Thanks for making thiz world a better place with your music! I was 20 years older than him when, by chance, I went to his concert in Las Vegas, I loved, I was thriller. A sense of sadness pervaded me when I heard about his death. Today, I watched the movie Avicii:True Stories. I'm still sad but mostly impressed about his life and probably conscious that with a little bit of more respect for him, his person, his body, his mind, his needs, (typical things between true friends), Tim would still be with us. Not regrets, what a beautiful passage on Earth. No admin to erase the insults? Tim does not deserve that. Please make this place a place for love and do not allow haters and lack of respect PLEASE!! I lost my brother the same way how we lost Avicii. I watched the show on Netflix and my heart was going crazy. I didn’t know if I should’ve cry or kill myself. I feel like there no reason for me to be in this world anymore. I made a lot mistakes in this life and I can’t fixed anything anymore. I wanna go there where my brother went and Avicii!!! Avicii you will be in my heart forever! "You're in my blood, you're in my veins, you're in my head, forever" You have been part of my life since you started your career, your song were my soundtracks, I will never forget you, never. I miss you Tim, damn if I miss you, I still do not believe it. And I know that you will never no longer read these words that I am writing to you now, but I know they will come to you, wherever you are now. THANKS for everything, I love you FOREVER. I have never been moved by music as much as I have by yours. It lifts me up and makes me feel really young again. I blast out songs in the car and even my 11 year old son who is non verbal with autism just loves it! I am so sad you are gone, you were amazing. Keep thinking this a bad dream and I’ll wake up but sadly no. Feel for you and all you went through. Rest in peace. The world was a better place for you being here. Your music will live on forever. Dear Boy is my favourite song! It brings me smiles and now tears when I hear it. Miss you Tim, miss you soo much. I just saw the docu about him on Netflix. It makes me sad (and mad) how much he expressed how he was feeling but no one would listen. What if they had listen... ?! Such a sad lost. My heart goes out to his family ! He will live forever trough his amazing music !!! I remember the day he died I was with my friend who had spent the summer with me. We had played his music til 1, 2 am on the balcony. and it felt so magical. I felt truly happy, the day he left was very sad for me and her. We miss you and thank you for a great summer that uplifted my spirits for the future. I remember hearing Avicii on a Spotify playlist my friend made and I related to it and it helped me cope. I know you're still alive, you just can't wake up... We still love you, Tim! I knew him when we were Young. At the time I was a young school girl who was not irresistible to his charms. Ours was a a scene out if a movie, a love story that was so powerful it seemed even Cinderella could not compete. I loved him in our early years and are devestated by his loss. His love carried me through many failed relationships. I saw him again at a concert and saw the signs. He was unhappy and not feeling fulfillment in life. My name is Katherine and I am an author. I loved Tim. The song levels by avicii was playing at a party when i met my first boyfriend ever. Him and I are now married and have 3 kids together. We played the song at our wedding and we will always remember what the song represented and how we felt at that moment when it was playing at that party. Tim, you will always be with us. Thank you for these beautiful memories. Your Music always makes me smile. No matter how sad I feel, you can bring back a smile and a fire! Thanks for everything! I will never forget you! YOU INSPIRED ME :) THANK YOU AVICII AND FOREVER REMEMBER YOU !!! Avicii played in South Africa at H20 in April 2013. It was an awesome event and he was amazing. I feel lucky that he came all the way to South Africa, but at the same time I feel sad because I’ve watched the documentary and he was so sick. It was heartbreaking to see. He just wanted to stop and he was constantly pushed to keep going. I myself identify as an introvert so I can just imagine how the constant touring drained him. I hope you’re at peace now Tim. Hi TIM, we miss you..
We miss you down there. Avicii em va ajudar a sentir la música a dins meu, cada cop que escoltava qualsevol cançó d'ell se'm posava la pell de gallina, em motivava, m'ajudava a estudiar, a dormir, als matins per llevar-me i anar en bus,... I altres coses. Avicii per mi era pura energia i vitalitat, ganes de ballar i ser lliure. Gràcies a ell em va començar a agradar el món de l'electrònica, i cada cop que avui en dia escolto qualsevol cançó d'ell, ningú m'impedeix cantar-la. Gràcies per tot, per ser tu, 100% Avicii. Such a true inspiration! Avicii true stories, on Netflix has touched me. Everything about you and your music takes me back to my teenage years! You are missed everyday. I am just in shock after watching your documentary! I never knew one person could feel the exact way I have felt for years... only unlike like you I never followed through! Until this past year I was trying to do as much as I could creatively and not look back! I would feel that way then start to burn out and it would just work in cycles. I am only a year older than you and we are strangers, yet I have never heard anyone explain the exact turmoil I was in! You are inked on my skin King! Avicii a été et est toujours une de mes grandes inspirations pour créer des mélodies entraînantes. Le style créé par Avicii est exceptionnel et fabuleux. Merci pour tout. Armand. I never had the chance to see him live, but since he started his music touched me. I lived for his music and still do. Without you helped me through my hardest time in life and im so grateful. You’re music really got me into edm. I just have to say I constantly think about “The Nights,” and this song rips me apart. My life was changed the days after your death and I wish the best for your family. Thank you for all that you have contributed to my life, and for how your turned me into who I am today. I will never go to a concert, but still I appreciate your songs.